Cheesy mashed potatoes wrapped in a tender dough, boiled, and then pan fried to perfection for some potato and cheese pierogies. 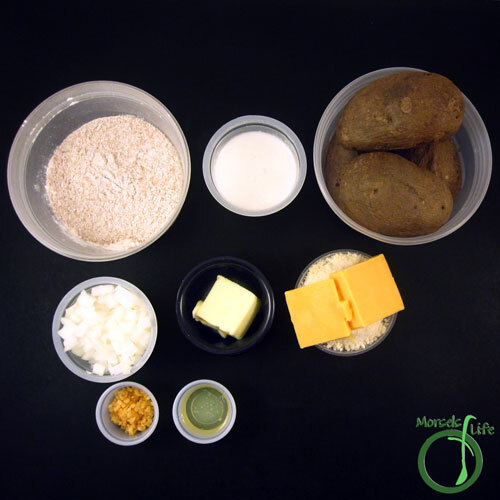 It's time for the Secret Recipe Club again! Each month, we're paired with another blog (secretly). This month, I got Learning Patience. Corey's got a bunch of tasty recipes - Chik-Fil-A Bites, Guacamole de Frutas, and Mexican Sweet Potato Fries, for example. I chose to make her pierogies. Over Memorial weekend, we went to Knoebel's and ate some pierogies for the first time. Maybe it was the hunger, but we both really enjoyed them. So, when I saw this recipe, I knew I had to give it a try! I'm certainly glad I did! James and I both liked these pierogies. I mostly followed Corey's dough recipe - just changed out the water for milk and half the flour to whole wheat. I also halved the recipe since I didn't have a lot of filling available. What's your favorite filling for pierogies? 4 ounces cheese I used 1 ounce Parmesan and 3 ounces cheddar. 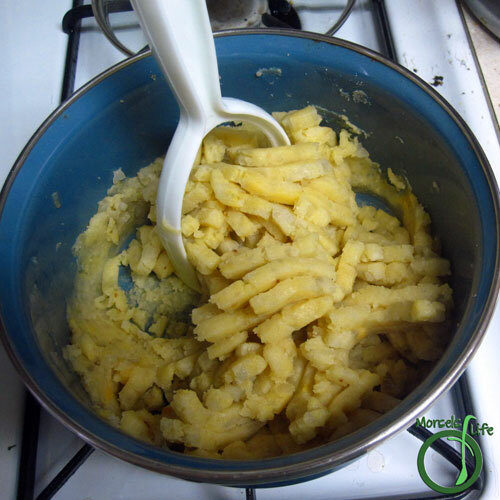 1 tablespoon 1/2 egg white You can use 2 tablespoons egg white or one whole egg if you double the recipe. 120 grams 1 cup flour I used half whole wheat and half white. Form Wet Team by beating together egg and milk. 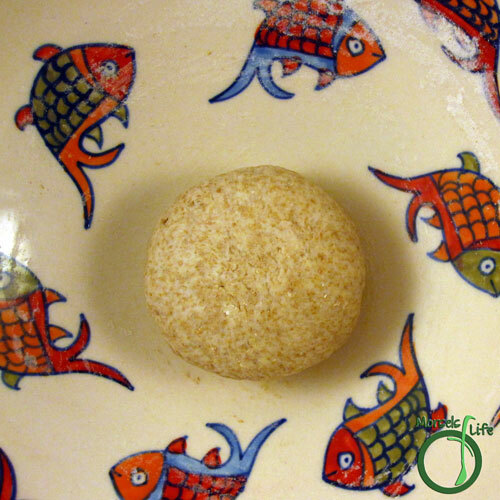 Form into a ball, and allow it to sit (covered) while making filling. 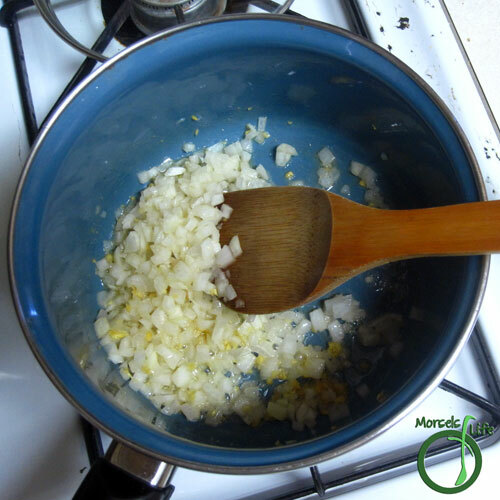 Cook together onions and garlic in butter until fragrant and translucent. Mash in remaining materials until homogeneous. 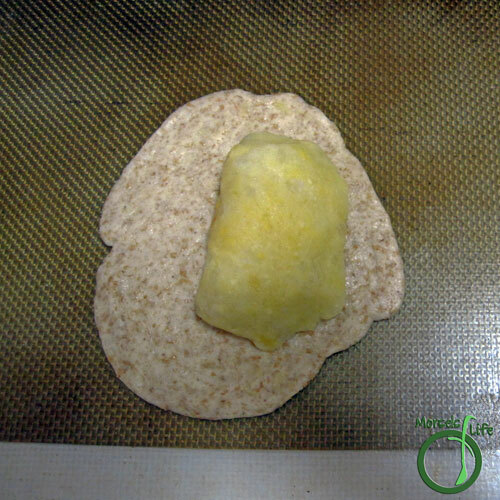 Form dough into a log with a diameter of about 1 inch. Pull of a 1 inch segment and roll out. Place about 2 tablespoons of filling on half the wrapper. Fold over and press to seal. 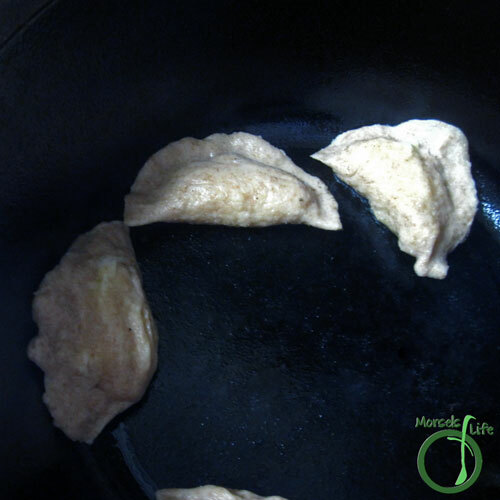 Place pierogies into hot/boiling water. Pierogies are ready once they float. 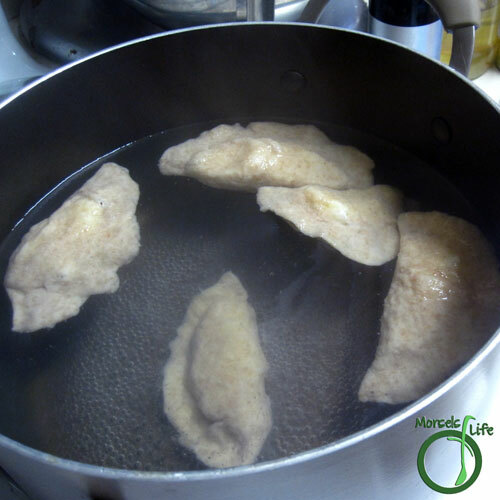 Once pierogies float, transfer them to a skillet or pan and fry in some oil. 2. Form Wet Team by beating together egg and milk. 4. 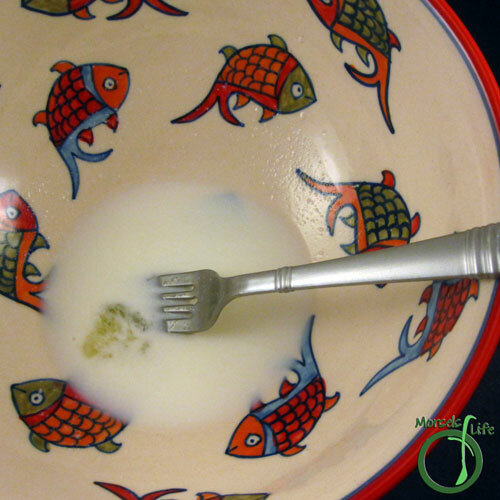 Form into a ball, and allow it to sit (covered) while making filling. 5. Cook together onions and garlic in butter until fragrant and translucent. 6. Mash in remaining materials until homogeneous. 7. 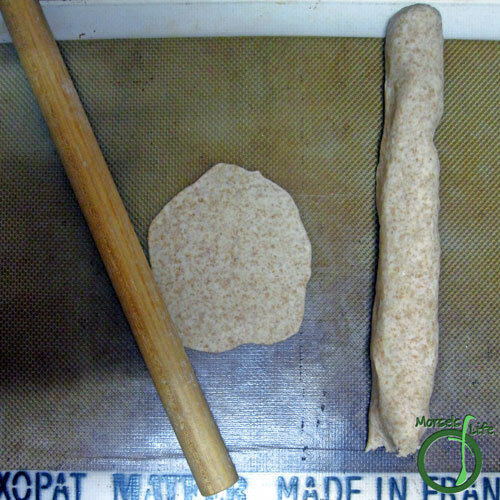 Form dough into a log with a diameter of about 1 inch. Pull of a 1 inch segment and roll out. 8. 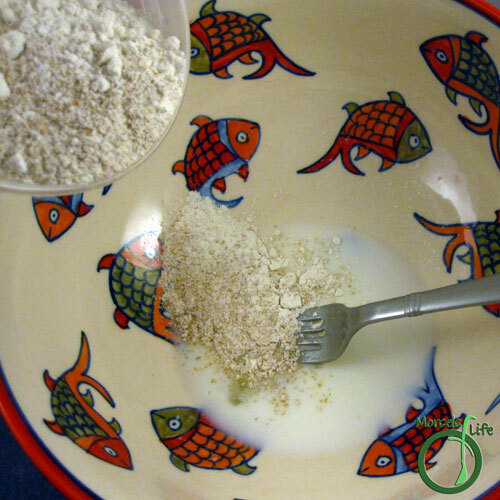 Place about 2 tablespoons of filling on half the wrapper. Fold over and press to seal. 9. Place pierogies into hot/boiling water. 10. Pierogies are ready once they float. 11. 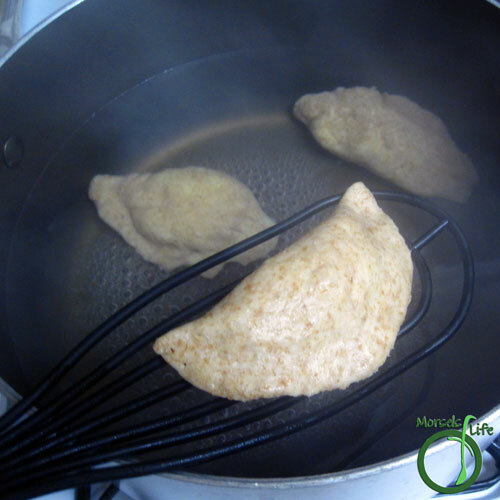 Once pierogies float, transfer them to a skillet or pan and fry in some oil. I love pierogies but never thought of making my own. Yours came out great! You make making pierogies look so easy! I've been wanting to make my own since my kids both love them. Great SRC choice! I love pierogies and yours look delicious. Awesome SRC choice. Glad you think so. :) I'd only heard of them until recently! You should give them a try. :) We really liked the cheesy taters and the texture contrast between the filling and the wrapper. Oh my goodness, Pierogies are a labor of love. 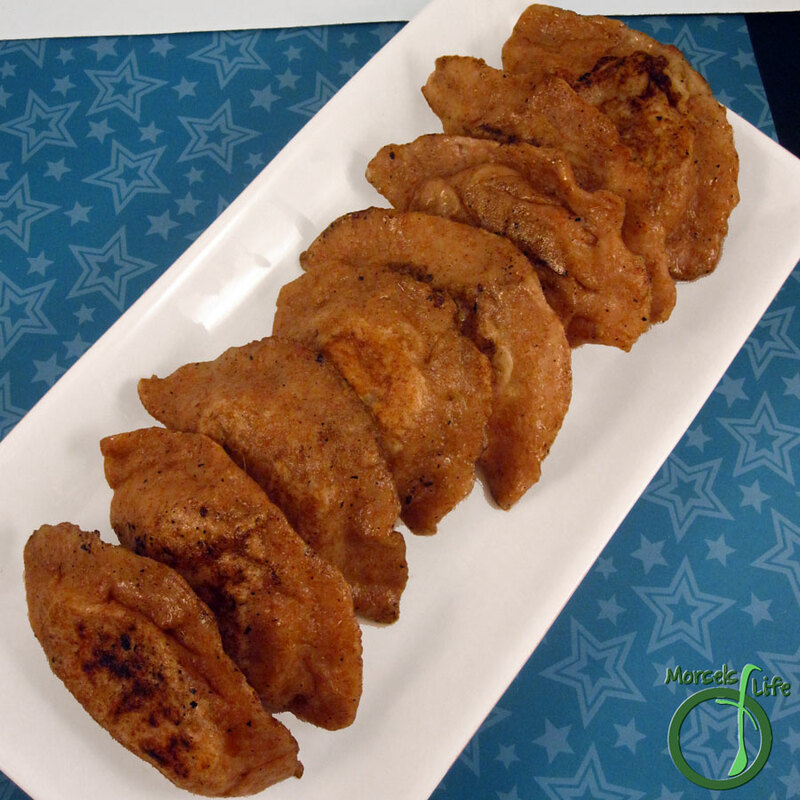 These Potato and Cheese Pierogies look fabulous! Hope you are having a great week. I always enjoy tutorials, so appreciate yours here. Thank you for visiting my blog. To answer your question, an ABM is an "Automatic Bread Machine." I adore pierogies and love to make them. Potato and Cheese are definitely my favorite. A few years back a good friend took over my kitchen and showed myself and two other ladies how to make Pierogies, and they were so good. We used over 10 pounds of potatoes, it was a Pierogie assembly line, and we all ended up with a lot of Pierogies, I think it's past time to make some more. Thanks for posting this recipe, I appreciate the reminder of how good they are.